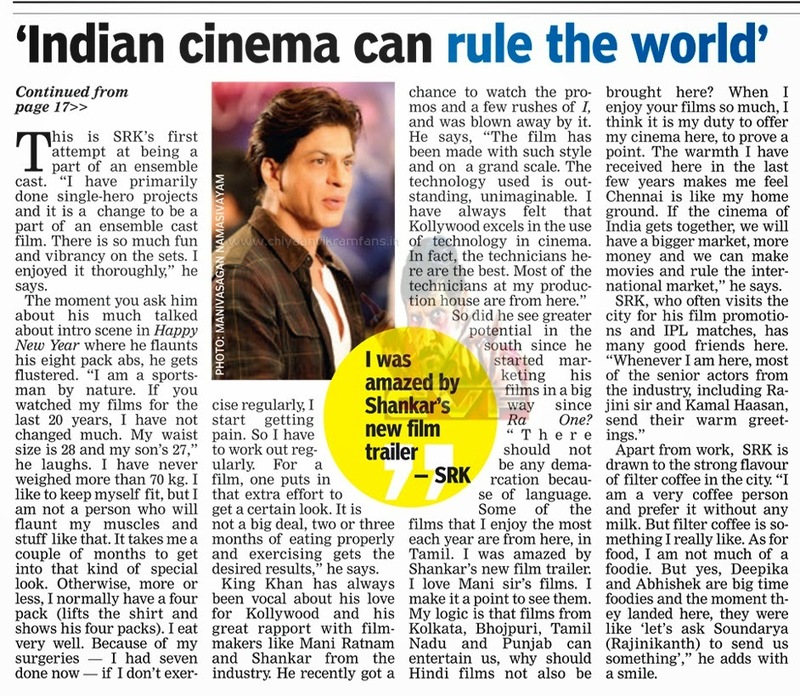 Home » Featured , Latest Buzz » Sharukh Khan About Chiyaan Vikram's "i"
Sharukh Khan About Chiyaan Vikram's "i"
Shah Rukh Khan, who was recently in the city to promote his next film Happy New Year, openly admits that technicians in Tamil cinema are the best. He also revealed that he was amazed by Vikram and Shankar’s work in I and called the technical work in the film as outstanding. “I have always felt that Kollywood excels in the use of technology in cinema. In fact, the technicians here are the best. 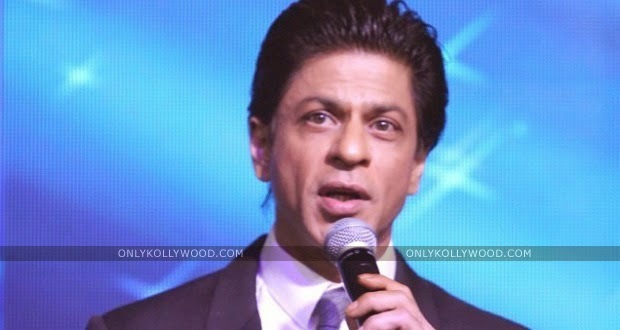 Most of the technicians at my production house are from here,” says Shah Rukh Khan to a daily.